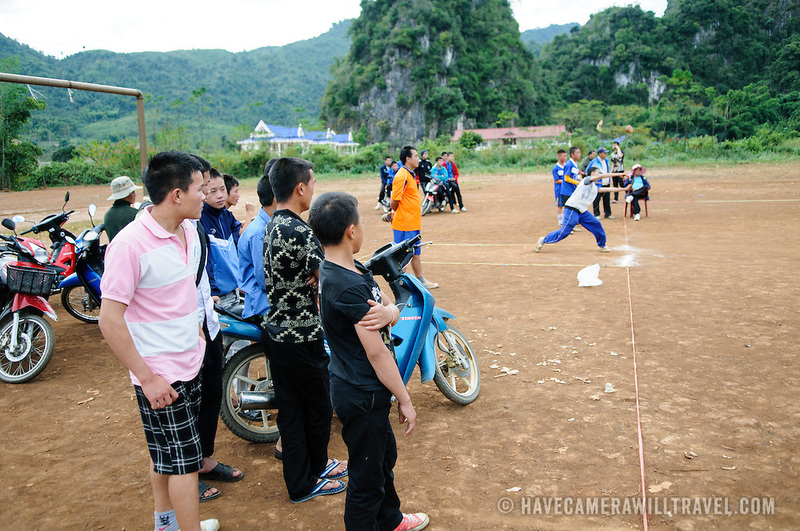 Hmong students in Vieng Xai in northeast Laos playing a traditional game of tujlub, which involves spinning wooden tops hurled with string and sticks. While one top is still spinning, another person tries to hit it. If they don't hit it, they're out. If they do hit it, the winner is the one whose top continues spinning the longest. The students at left are spectators, while one of the participants center right hurls his top.